Home / Mike Hess Odyssey Blog / St. Patrick’s Day. 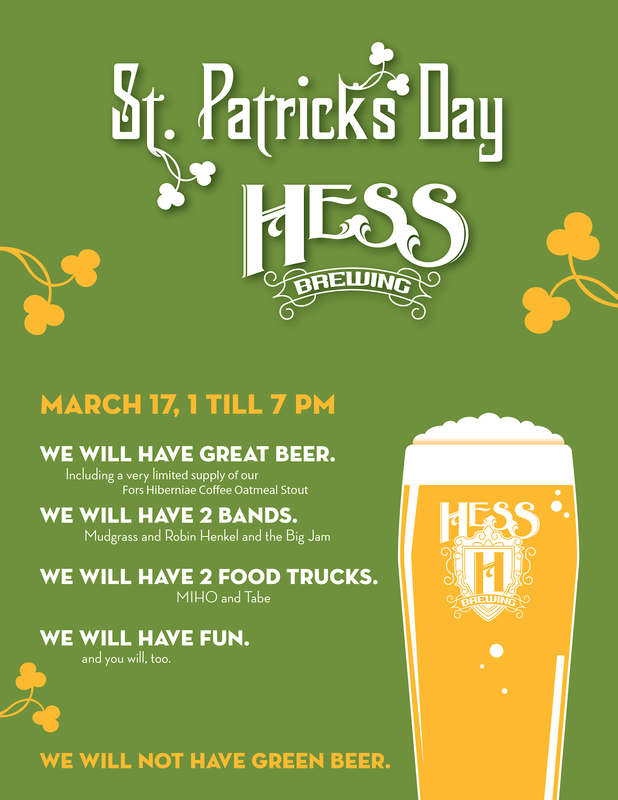 We are going to be having one heck of a St. Paddy’s Day Party. We will be having food from MIHO Gastrotruck & Tabe BBQ. We will have plenty of beer including Fors Hiberniae, our coffee-infused oatmeal stout, plus all of the regulars Amplus Acerba, Intrepidus, Grazias... and one reprised beer from the past, sure to be a hit. Two live bands: Mudgrass opening until 3 pm, and are stoked to have big-time blues talent Robin Henkel and the Big Jam play 4pm till close! Never a cover, all ages welcome.